Dawn Demps, mother, crusader, organizer, speaker, artist and life student, is a Flint native that has been involved with community advocacy since 12 years old. Following in her mother’s footsteps, she started out in summer outreach programs and soon developed her own youth initiative called “Eyes on the Prize” that uses the fine arts to reach out to resource denied young people in urban communities to help them reach their full potential academically, emotionally, and creatively. She utilizes her own lived experiences to understand how youth can feel disconnected from their elders and the community and to conceptualize the devices needed to keep them anchored to success. 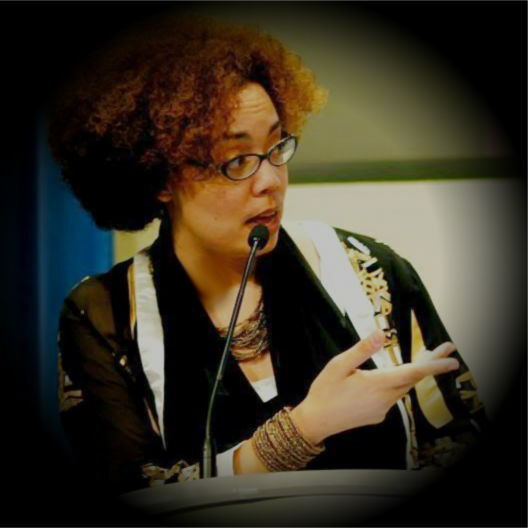 8 years after dropping out of high school and the subsequent birth of her first child, Dawn entered a community college and continued on to complete her studies at the University of Michigan-Flint as a double major in Africana Studies and Social Sciences with a concentration in sociology with honors. Noting the profound effect education has had on her life, she started a student organization on the University campus, The Shariki Group, dedicated to serving as a bridge between academia and the citizens of Flint. Dawn formerly served as the Director of Youth, Education and Community Projects for the Urban League of Flint and served nearly 400 youth every year through various initiatives. Some of her most recent endeavors have included collaborations with nationally renowned scholars and innovators such as: Educational sociologist, Dr. Pedro Noguera, environmental justice crusader, Majora Carter, Dr. Tyrone Howard, UCLA educator and author and non-violence advocate and Hip-Hop legend KRS-One. She was most recently the Executive Director of the Urban Center for Post-Secondary Access and Success (UPASS) and the Beecher Scholarship Incentive Program which helped students successfully navigate high school and tackle postsecondary challenges and opportunities. Some of her past awards and honors have included: The 2006 Myron and Margaret Winegarden Scholar, 2007 University of Michigan-Ann Arbor Center for the Education of Women Margaret Dow Towsley Scholar, 2007 Juan E. Mestas Scholar for Academic Excellence, 2008 Michigan Campus Compact Heart and Soul Award Recipient and a 2008 Dr. Charlie Nelms Community Contribution Award Nominee. She was the Louis Stokes Fellow at Case Western Reserve University in Cleveland, Ohio, and attended Marygrove College for a Masters in Social Justice. 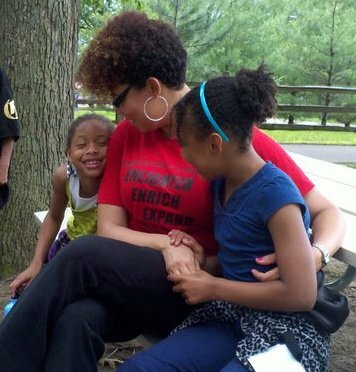 Her work focused on Educational Equity and Access for Disenfranchised Youth. She is currently a PhD student of Education Policy and Evaluation at the Mary Lou Fulton Teacher’s College of Arizona State University where she is studying the history of student exclusionary policies and practices against minoritized populations and the resulting community responses. Hi Dawn. Bill Vohwinkle. We met at the Shoptalk panel discussion at UM-Flint. If you remember, I gave you a copy of a paper I wrote in support of Ban-the-Box legislation in Michigan (HB 4208). As I said at the time, Ban-the-Box is a small step in the right direction with regard to criminal justice system reform. It seems to me that with Gov. Snyder proposing his own version of reform that he’s calling “smart justice,” the time is right for a discussion of Ban-the-Box in Michigan. Unfortunately, much of his focus is on reducing numbers and subsequently, costs. From what I can see, there is little in his “smart justice” proposals that are motivated by humanitarian concerns. As it stands now, merely releasing people from prison is setting them up for failure. Without removing the barriers ex-offenders face to successfully re-entering society, efforts such as Snyder’s will do little to reduce crime or make neighborhoods safer – an injustice to all, including the ex-offender. During the Shoptalk discussion, you spoke at length about the school-to-prison pipeline and the fact that research shows minority students are disciplined more often and more severely than white students, which of course bolsters the negative self-image, frustration and despair that perpetuates the aforementioned phenomena. Certainly the issues affecting the school-to-prison pipeline are multi-faceted and complex, but barriers to employment for ex-offenders are a part of that problem, all be it a small part. As I said, Ban-the-Box is a small step in the right direction. You asked me when I introduced myself at the Shoptalk program who I was affiliated with? The answer is, no one. That is partly because I don’t know who to be affiliated with, and partly because being a graduate student I don’t have the time to more actively pursue promoting HB 4208. I decided that I could find the time to try to publicize the idea in the hopes that others might choose make it law in Michigan. I also decided that Ban-the-Box was very doable. A simple yet significant solution that offers me valuable experience as an advocate. Those are my motives, which I realize is the question behind asking who I am affiliated with. I would enjoy discussing this with you further. In either case, Thanks for your time.